Upper deck - best place to sit with morning coffee! 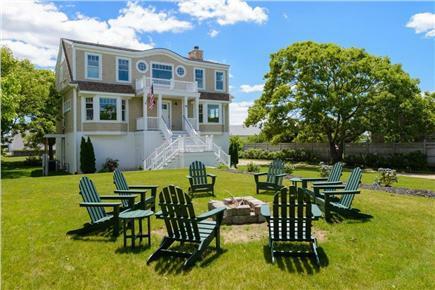 Enjoy superb views of Nantucket Sound, Martha`s Vineyard (see the lights of Oak Bluffs and Edgartown at night), and the parade of boats that cruise by from your own spacious decks. 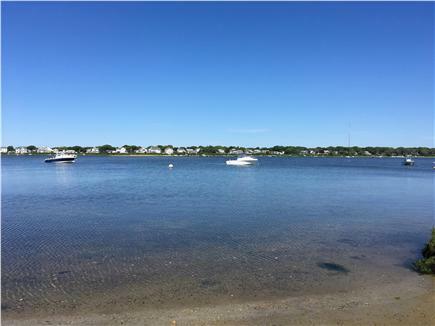 Summer activities abound in this terrific location with direct access to Great Pond across the unpaved street (kayaks are in the garage) and the beautiful Acapesket private beach Association (with Beach Volleyball Field) just around the corner. 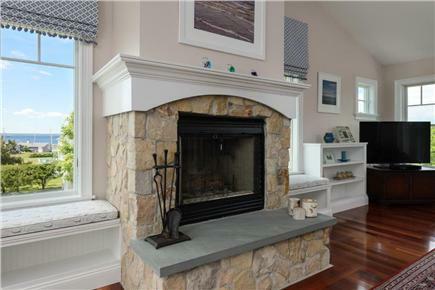 This tastefully furnished, like-new home offers stunning details throughout including Brazilian Cherry flooring, central A/C, and a wood burning fireplace. The second story living room and kitchen provide expansive water views in nearly every direction. 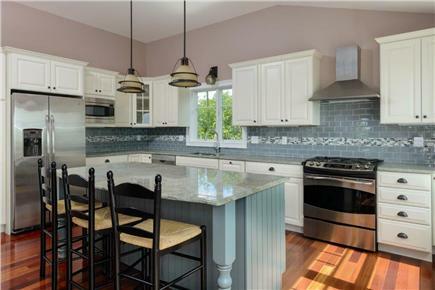 Enjoy the gorgeous kitchen with Nespresso machine, granite counters, stainless steel appliances, and a center island, great for kids. 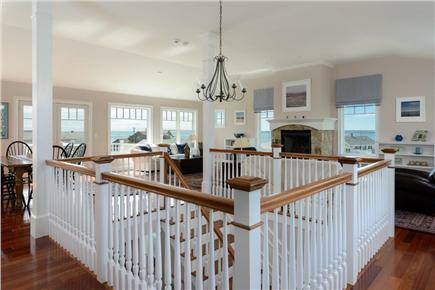 Windows abound in this sun drenched, magnificent, open floor plan showcasing the commanding water views. The living room includes a large dining area, comfortable couches, flat screen TV, blueray DVD Player and lovely fireplace. 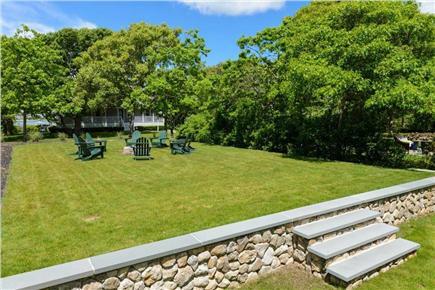 Walk out the sliders onto the deck to discover our favorite place to sit and relax. 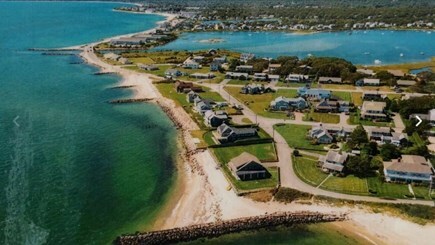 There you will view the ocean and the coast of Martha's Vineyard. Three cozy bedrooms and two full bathrooms await you on the first floor. 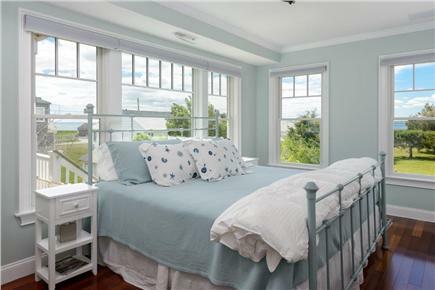 One king bedroom offers water views out each window. 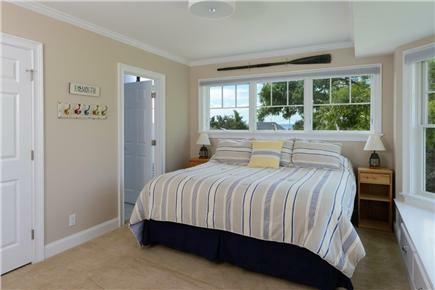 The other king bedroom offers hardwood floors and overlooks the back yard with ocean view. 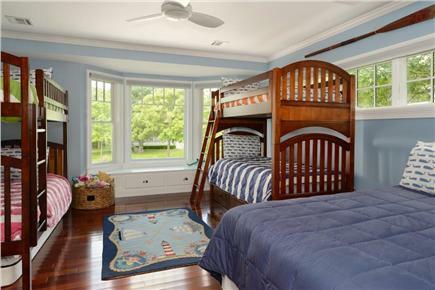 Finally, the kids room offers 2 bunk beds, a full bed, and access to a large bathroom with a walk-in shower. There are three flat screen TV's and a play station 4 in the house. High speed internet and a big variety of sports and movie channels are provided. On the first floor, there are two bonus places to rest, read, or chat. A trundle bed provides you with some flexibility for sleeping arrangements and the lower patio area provides a shady place to cool off. Also out back are two spacious outdoor showers! We stayed at Beach Street this past July for a week with our four kids and my parents. The house was super clean and spacious. The views are beautiful and the proximity to the beach is awesome. The owners even let us stay a few extra days. Great rental!! 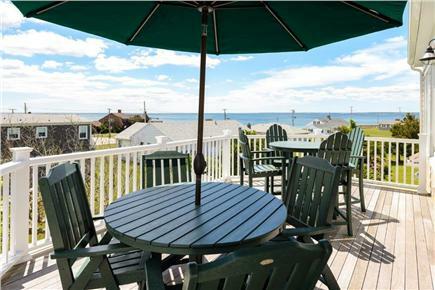 We were fortunate to have the opportunity to rent the Beach Street home this past summer. 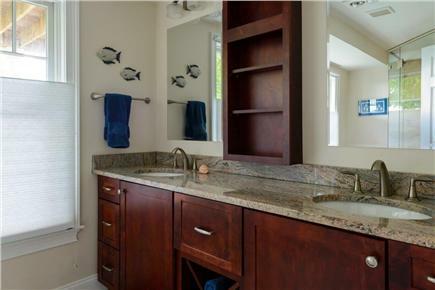 The location of the home is exceptional as it is located within walking distance to a private beach, allows access to the pond for kayaking in a safe environment and is also close enough to walk to the public beach as well. 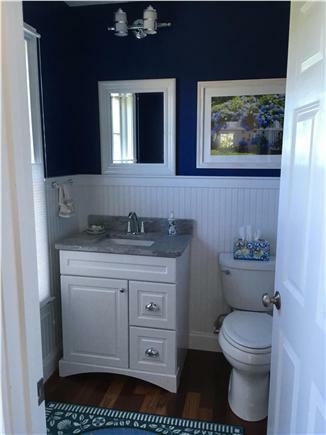 The home is located on a quiet street with a private yard. The views from the decks allow views to the ocean. The inside of the home is impeccably clean. The floor plan is very well designed with privacy in the bedrooms and an open concept on the top floor which includes a spacious kitchen and family room with access to a deck. The owners took extra care to make sure our stay was enjoyable by following up with us as we arrived and during out stay. As a result we had one of the most relaxing family vacations that we have had in many years. Highly recommend both this home and the owners! What a perfect home for our family and friends vacation! 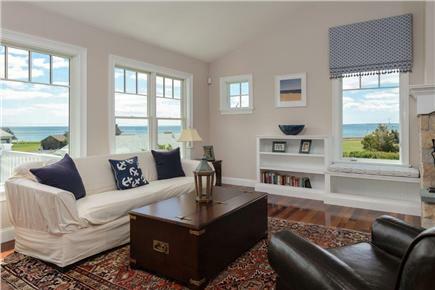 Comfortable layout with beautiful views of Martha's Vineyard and Sound, made it hard to leave. 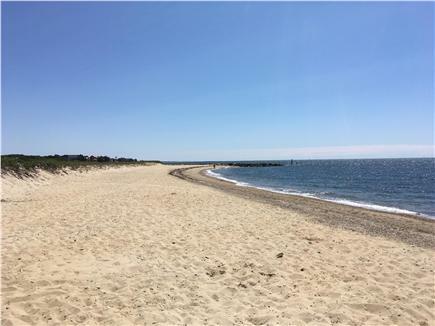 Private ocean beach access and cozy pond beach, perfect for kayaking. The owners were so friendly and accommodating, we wished they were staying with us! Highly recommended!